It will make sure your lashes remain in place the whole day! Wearing false eyelashes is an excellent way to enhance your look. However, did you know that they could also be a major form of embarrassment when installing in the wrong way? If you get the wrong eyelash glue to fix your falsies, you will likely have to collect them from the floor after they fall accidentally. To avoid such form of embarrassment, it is crucial that you take some of your time to shop for the best eyelash adhesive. Such glue should offer a secure hold, while it should be water resistant. This enables you to wear it all day without the fear that your eyelash extensions will fall accidentally more so when it happens to rain. This glue comes in a 5oz bottle. It is manufactured in the USA and heeds to the stringent safety standards. It does not feature harsh chemicals, while its quality isn’t compromised making it safe to use. The glue dries black, which makes it, blend well with your natural lashes. What’s more is that it is fumes-free so that it does not affect your eyes during the application process. The adhesive is professional eyelash glue and not recommended for use by untrained persons since this can lead to serious injury. It can last up to six weeks, and shouldn’t be allowed to get into contact with the skin or eyes. This is the best glue when looking for a semi-permanent eyelash glue. It comes while packaged in a 5ml sealed package with a glue needle included. This ensures that air and moisture cannot leak through as such assuring you that it will last for an extended period. What’s more is that the needle protects the glue from drying out which also acts to ensure that you have a long-lasting adhesive. The adhesive is of premium quality with extra care formula. Hence, it does not heighten the risk of irritation, allergy, fumes, or odor. This makes it ideal for use on individuals with sensitive skin. The glue is perfect for classic and volume lashing and can last for 5 to 6 weeks. It offers a strong retention and is recommended for professional use only. When you get it, you should not use it by yourself with individual, cluster, or strip lashes. It takes 2-4 seconds to dry thereby offering you a comfortable drying time. The glue heeds to the safety and quality standards since it is latex-free and formaldehyde-free. Whats more is that it is ITQA, ISO 9001:2008, and ISO 14001:2004 approved to ensure that it is safe. Are you looking for the best fake eyelash glue that will offer a secure hold while ensuring that your eyes are shielded from harmful chemicals? 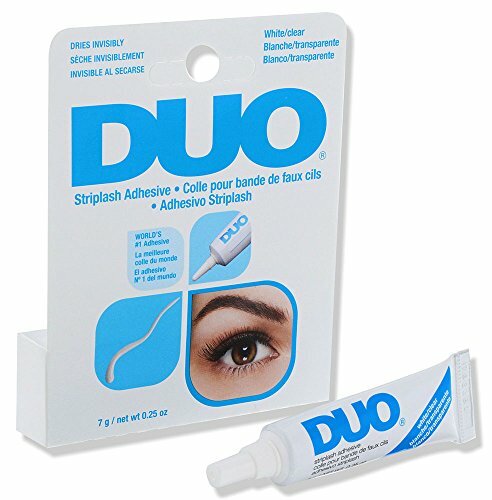 The Companion Eyelash Glue is one of these adhesives. It provides an all-day hold, while it is hypoallergic and latex free making it suitable for use on sensitive eyes. It is clear eyelash glue that dries clear so that you will never note it presence on the lashes. 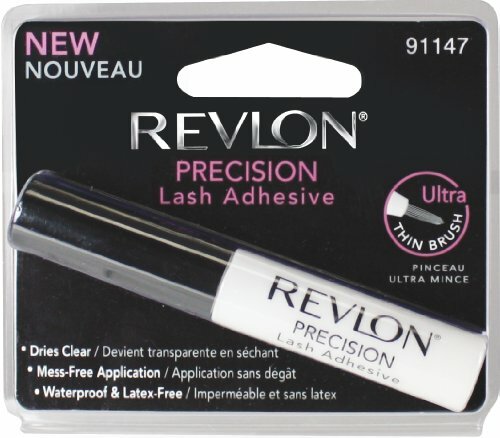 The Revlon Precision Lash Adhesive is the best lash glue for beginners. It comes with an ultra-thin brush that makes it easy to apply. With it, you can be sure to benefit from a mess-free application. Whats more is that it dries clear so that it is not conspicuous. The glue is latex-free and waterproof making it safe to use and lasting even when exposed to water. It comes in a 0.17 fl oz bottle. 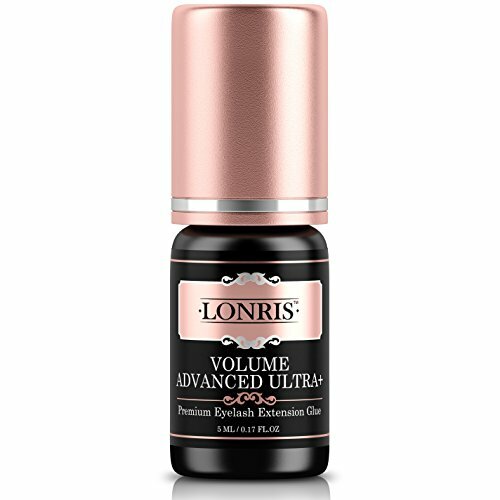 When looking for the best eyelash extension glue, this glue is one of the best. It comes in a 5ml bottle that can last up to 7 weeks. 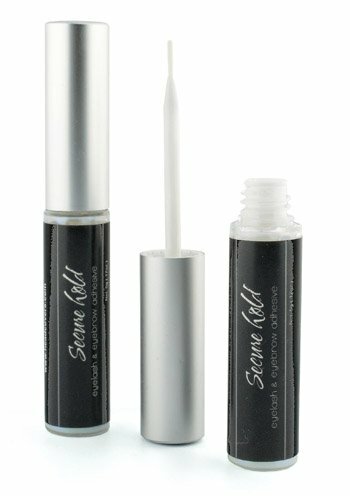 The glue has a maximum bonding and retention power so that you will never have to get frustrated by the fake eyelashes falling off accidentally. 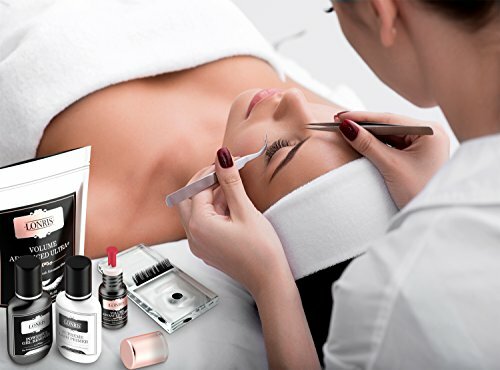 Whats more is that it has a fast drying time of 1-2 seconds making it a great choice for use by lash extensions stylists who have to deal with a lot of customers in a day. The glue has a relative humidity percentage rated at 50 to 70 % so that it can work well even when used in high humidity. Additionally, it comes in a specially sealed package with silica gel so that it doesn’t allow moisture or air in to make it last for an extended period. The glue also features a red glue needle on the inside. This makes it preserve its freshness before it is opened so that it can last for up to two months while still fresh. You can use it with an assurance that it is safe for use and that it will not result in severe side effects since it is formaldehyde-free and latex-free. Moreover, it complies with ISO 14001:2004/KS I ISO 14001:2009 and SO 9001:2008/KS Q ISO 9001:2009 which guarantees that it is safe to use. 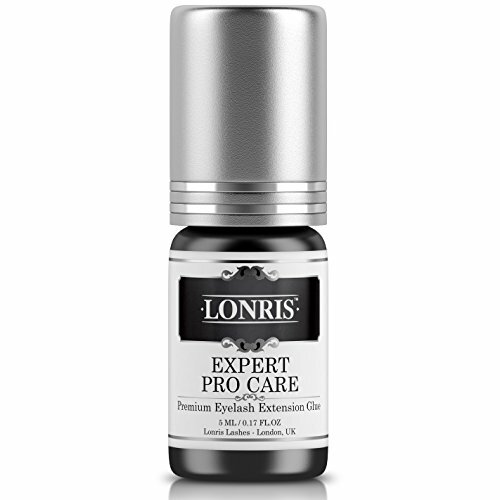 This is an extra strong semi-permanent black adhesive that comes in a 5ml bottle. It makes a perfect choice when searching for the top eyelash glue that lasts since you can use it for up to 7 to 8 weeks. The glue is manufactured based on the cyanoacrylate with low fume and a super fast drying time. It dries in 1-2 seconds making it a great choice when you need an adhesive that will let you save some time. The adhesive is for professional use only and makes a perfect choice for individual eyelash extension. It comes when packaged in a package sealed with silica gel so that air and moisture will not get in. Additionally, it includes a red needle that protects the glue from drying. The adhesive is safe to use since it is latex-free and formaldehyde-free. Moreover, it is approved to ISO 14001:2004, ISO 9001:2008 and ITQA assuring you that it is safe to use. This is a white/clear adhesive suitable for false strip eyelash. It comes in a 0.25oz bottle. However, it is strong enough so that you will only need a tiny drop of it so that the tube can last for long. The glue is packaged in a convenient adhesive tube which lets you fit it in your purse making it perfect for use when traveling. As one of the best false eyelash glue, it is free from sulfate, dyes, parable, petrochemicals, and synthetic making it for use on even sensitive skin. The glue dries clear making it assure you of a perfect makeup. It is easy to apply since it requires that you squeeze a little along the lash band, wait for 30 seconds and apply the lash. 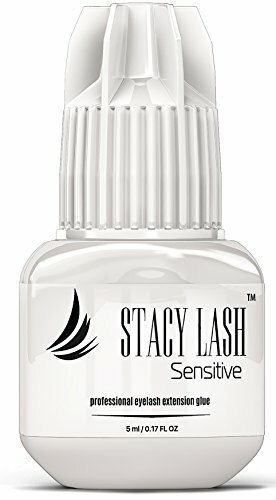 This is a strong eyelash glue gentle fragrance-free formula that offers a secure hold to ensure a long-lasting, reliable grip for lash strips, eyebrows, and false eyelashes. It is safe to use since it is free of gluten, parabens, sulfate, and cruelty. The glue goes on white and dries clear to ensure that it is not conspicuous to the point that other persons can notice it. Whats more is that it is mess, clump, and residue free making it highly convenient to use. It comes with an applicator that aids in a fast application process. The glue dries fast to help you save some time. This adhesive comes in a 0.176 oz package. It offers a super strong hold while it is water and sweat proof so that it does not become weak when exposed to water. As such, this is one of the best waterproof eyelash glue that you will come across. The glue blends well with dark eyeliners so that it delivers perfect results by avoiding it from being too conspicuous to other persons. Whats more is that it is hypoallergenic so that you will never have to worry about an allergic reaction, meaning that it is safe for you to use. You can use with confidence that it is safe on your eyes and skin considering that it is free from latex and formaldehyde. Applying it is easy since it is a brush-on glue. This is a professional use only black adhesive. It is not for personal use with strip, cluster or individual lashes. The glue comes in a 5ml package that can last for up to five weeks. It is a low-fume adhesive that helps to reduce the potential side effects that occur in allergic clients. The glue is designed to reduce irritation, fume, odor, and allergy making it user-friendly. Whats more is that it is one of the cool eyelash glue for extensions that is recommended for use in lash extensions saloons. It features a dry time of 5 to 6 seconds to enhance your comfort when working with it. When you get it, you can be sure to get a strong and effective adhesive since it comes in a specially sealed package with a glue needle included. This helps to ensure maximum glue freshness by preventing air and moisture from penetrating through to extend the life of the glue after opening of the bottle. The glue is latex and formaldehyde free to ensure that it is safe to use. Additionally, it meets the ISO 14001:2004/KS I ISO 14001:2009 and ISO 9001:2008/KS Q ISO 9001:2009 standards assuring you of safety. This glue comes as a pack of two bottles of adhesives. These feature a dark color so that the glue blends easily with the eyeliner. As such, you can be sure to get effective results as the dark shade helps to hide the eyelash strip. 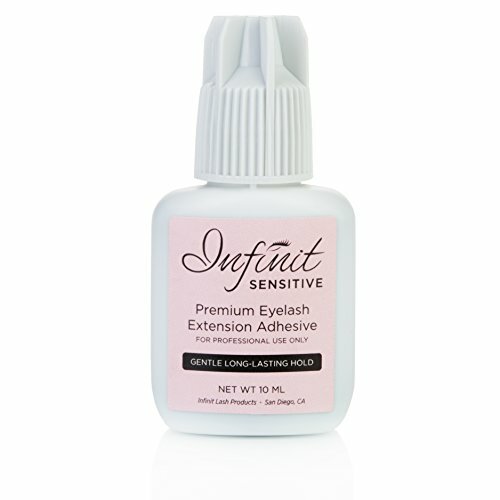 With this adhesive, you can use any eyelashes and be sure to get a secure hold. It acts as one of the best drugstore eyelash glues to enhance your safety. It is latex, paraben, formaldehyde, and phthalate free to assure you of safety. Whats more is that it is an easy-to-apply high-quality formula that securely holds your fake eyelashes to ensure that they can stay on all day. Are you looking for a cheap eyelash glue that will help to hold your lashes securely in place? 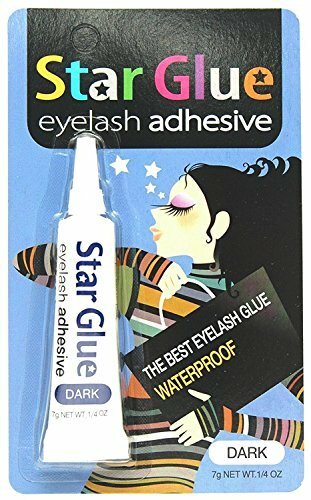 If so, you should give a try to the Star eyelash glue. It is a waterproof formula meaning that it will stay on even in the presence of water. The glue has a fast drying power making it ideal when you do not want to spend much time on makeup. Whats more is that it is easy to apply and features a dark color so that it blends with your eyelashes perfectly. 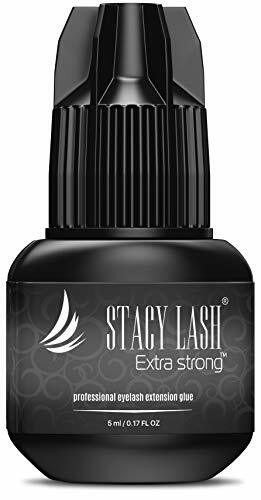 This is black eyelash glue that comes with a 5grams container. It is designed for professional use only and not for use on the skin. As one of the best glue for eyelashes, it offers a strong bond that will serve you for 5-6 weeks. Additionally, it delivers a fast drying time rated at only one second for fast results. The glue features strong fumes, and it recommended that one keeps eyes closed during the appointment duration. You should shake the bottle for 30 to 45 seconds before use to ensure consistency of the liquid and the color before using. 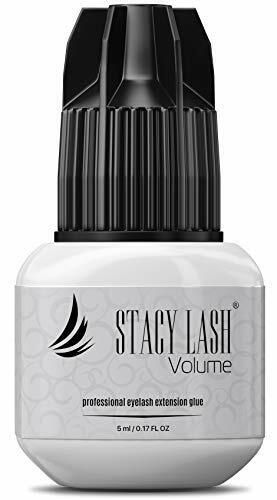 This glue is specially designed for volume and classic lashes. You can get it for Hollywood volume lashes, individual classic eyelash extensions, and Russian volume lashes 2d, 3d, 4d, and 5d. The glue has fumes, and as such not recommended for use on people with sensitive eyes. Moreover, it not recommended for self-application with cluster lashes, strip, or individual lashes. As one of the best fake eyelash glues, the adhesive features a fast dry time of 3-4 seconds. It offers an ultra-strong bonding power with lash extensions lasting up to 4 to 6 weeks. Whats more is that it comes in a specially sealed package with silica gel that aids in keeping oxygen and moisture out. It also includes a red glue needle inside. This enables it to preserve the freshness of the glue before opening so that the bottle can last for up to 2 months after opening. You can use the glue with an assurance that it is safe to use since it is free from latex and formaldehyde. Additionally, the glue is ISO 9001:2008/KS Q ISO 9001:2009 and ISO 14001:2004/KS I ISO 14001:2009 certified assuring you that it meets the highest quality standards. 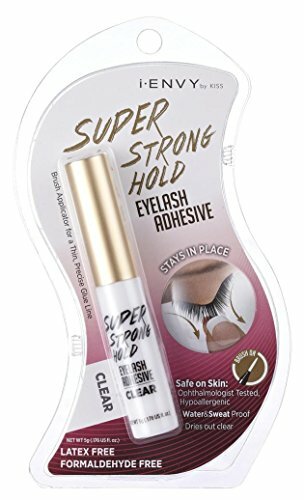 This is a good eyelash glue when looking for an adhesive for use on sensitive eyes. It is formulated to minimize fumes, odor, and irritation. As such, it makes a perfect choice for use by stylists who need an eyelash glue for use on clients with sensitive eyes. It has a drying time of 5 to 7 seconds, which enhances more flexibility when applying individual lashes. Whats more is that the glue offers a comfortable bond that lasts up to 4 to 5 weeks. It features the ingredients in medical grade adhesives and doesn’t contain latex and formaldehyde making it safe to use. More to that, it has ISO 9001:2008 and 14001:2004 quality certificates that assure you that it is has met the quality and safety standards. Once you get this product, you can be sure of having gotten a mess-free adhesive due to its unique nozzle that protects the glue from leaking. Additionally, it includes a blocking system which helps to reduce glue hardening while enhancing viscosity by eliminating contact with the air. This aids in assuring you that its freshness is preserved making it ideal for frequent use. Now that you have an idea of the best lash adhesives on the market, how do you get the best for your personal use? Here are some of the factors to consider. 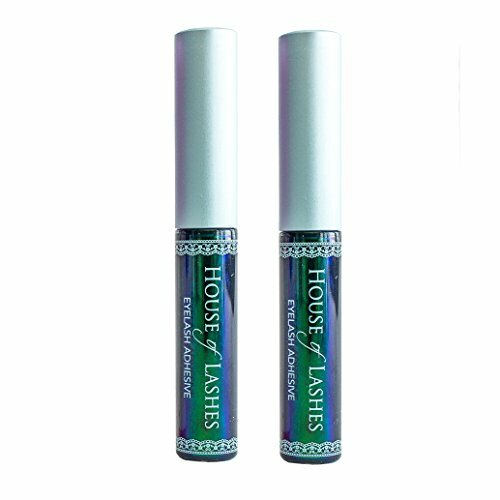 Eyelash glues come in two colors. You can opt to go with clear or black. While this is a matter of personal preference, black glue works best for individuals with darker complexions and those who need to add a dark accent to their eyes. On the other hand, a clear assent matches with the pale skinned persons and those who do not want the glue to be noticed with ease. So, determine the color you want your eyelash glue to feature first then base your options on that. How long will the glue take before drying? Note that adhesives differ in consistency, and you will want to get that which favors you. If you want a tube of glue that will dry fast, better opt for an adhesive that is thinner. A thicker glue takes more time to dry, while it causes more irritation when compared to a more liquid type adhesive. Do you want glue for use by a beginner or an experienced stylist? Note that eyelash glues are specified to be used by different individuals. To get the best glue, you will need to get that which matches the skills you have. Adhesives designed for use by beginners dry slowly to give you time for correction, while those intended for expert use dry fast due to the minimal corrections needed. Are you a person who gets into contact with water most of the times in a day? If so, you will want to get a waterproof glue. This happens to be the best choice for people who go for swimming and those who engage in gym activities where they are likely to sweat most of the times. So, ensure that you can get a waterproof glue if you need your eyelashes to remain intact even when you get into contact with water. What’s the best eyelash glue for sensitive eyes? This is a question that individuals with sensitive eyes have to answer before getting the right adhesive. Here, seek to find out the ingredients of the glue you want to purchase and ensure that that they are safe to avoid irritation. Check to ensure that the adhesive is free from ingredients such as latex, formaldehyde, among other components that can damage sensitive eyes. You may also consider getting a hypoallergic adhesive to make the choice even easier. How long can the adhesive last while still fresh on the shelf and after opening? A good eyelash glue should have a reasonable shelf life of about eight months, while it should maintain its characteristics after opening for about four months. Moreover, it should have clear instructions about the right environment to store it. Each of the eyelash glues discussed above is worth purchasing since they have the features to satisfy different individual needs. However, I recommend REESE ROBERT BEAUTY PROFESSIONAL Eyelash Extend Adhesive for someone who is in need of a black eyelash glue that is suitable for professional use. The glue dries black to blend to the eyelashes while it doesn’t feature any fumes making it a perfect choice for use by persons with sensitive eyes. Moreover, it has a long-lasting time of up to six weeks while it is reasonably priced to give you the best value for money. 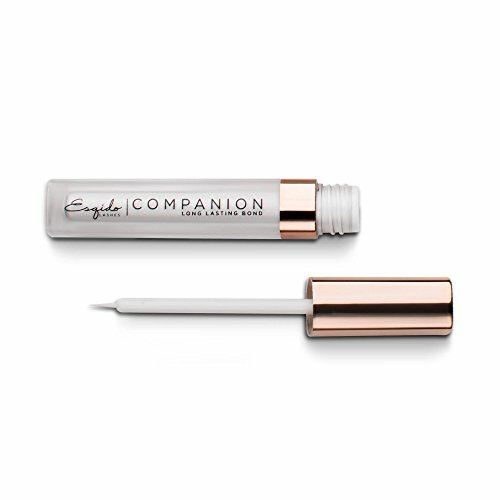 Whats more, I suggest that you get Companion Eyelash Glue when you need a clear eyelash glue. It has a clear color and dries clear so that it is not noticeable. Moreover, it is safe for use on sensitive eyes since it is latex free and hypoallergic making it a perfect choice for a person with sensitive eyes and in search of a clear adhesive. When looking for the best eyelash adhesive for use by beginners, I recommend Revlon Precision Lash Adhesive. It comes with an ultra-thin brush that makes it easy to apply. It also dries clear while it is mess free so that it eliminates the bad look that results when you make a mistake. The glue is latex free and waterproof making it safe to use and safe to expose to water. Just keep in mind that your safety matters more even as you consider the price. So, do not be attracted to purchasing an adhesive due to its price, but its reliability and safety. Hi Katie, Thank you for the informative article. I am not a professional eyelash stylist, only someone who just started getting extensions. I was thinking about buying a glue to put on at home, after I leave my bimonthly appointment in the hopes that my eyelashes will adhere longer; I’d like to just go in once a month. In other words, the stylist puts on her own glue/sealant on my newly touched up lashes, and then I’d go home and apply this extra dose of glue to get them to last longer. Is this a good idea or a bad idea? I want my lashes to last 4 weeks before a fill, but, on the other hand, I don’t want to destroy them. I also still apply Latisse in the mornings and Revitalash in the evenings, just to try to keep my own lashes healthy. I would very much appreciate your response before I purchase my own bottle of glue. Thank you in advance!